Versatile 3-in-1 shoulder orthosis. Step down brace as treatment progresses. Converts from an abducted shoulder immobilizer, to a shoulder immobilizer, to an arm sling. 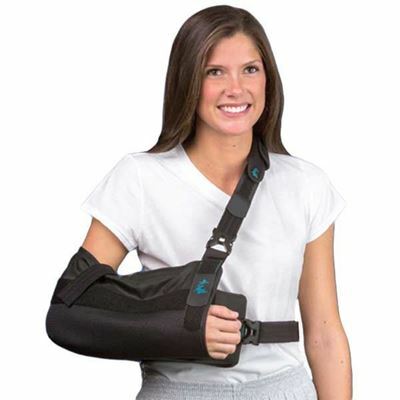 Features arm sling; removable waist strap; removable pillow at approx 15º abduction; shoulder pad. Bilateral design. Measure from olecranon to MCP for sizing.